Are you looking for a sneaker that gives you tremendous versatility on and off the court? If you are, then Jordan Brand has the answer for you with their December edition of the Jordan Courtside. 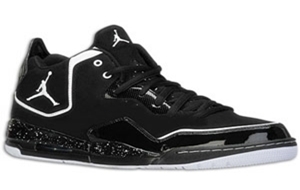 The Jordan Courtside, which is a good alternative for the Jordan Brand retros, will be released in Black/White colourway, which features a dominant black upper part with touches of white linings, Jumpman Logo, and outsole. This one is definitely impressive and will give you what your money’s worth is!